of youth and elderly in San Francisco. 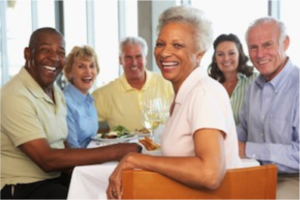 Social connections are incredibly important to the health of the seniors in our lives. 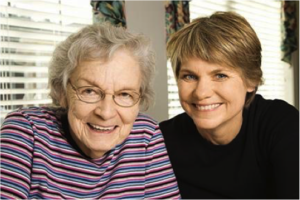 Make transportation available- Family offering rides to older loved ones and helping them to learn to use public transportation will also help them maintain social connections and a healthy sense of independence. Promote a sense of purpose- Encouraging seniors to remain active in their hobbies and interests, and providing them opportunities to volunteer can help them maintain their sense of purpose and keep them from becoming isolated and lonely. Make adaptive technologies available- Adaptive technologies, ranging from walkers to the above mentioned hearing aids, help seniors to compensate for age related deficits and deficiencies that can impede social interaction. February is National Senior Independence Month! Of the 132,000 San Francisco citizens older than 65, and 31% of them live alone. This number is only expected to grow as 1 in 5 SF residents will be over 65 by 2025, know as the “Silver Tsunami.” With these facts in mind, it makes perfect sense that as JLSF we begin to focus on what we can do to support this important group in our community as we are doing through our IBCI impactful Focus Area on the Elderly. Give extra support to seniors who have lost their spouse – This can make all the difference for the bereaved senior’s well-being, and it helps to encourage a healthy grieving process rather than a spiral into prolonged depression and isolation. Encourage positive body image – Compliments and positive comments can go a long way to boosting the self-esteem of seniors. Similarly, discouraging seniors from fretting over their appearance may help them avoid becoming self-conscious to the point that they avoid social interactions. Give a hug – Research has shown that friendly platonic touching from friends and family, like hand holding or hugging, can lower stress and promote feelings of well-being. For more information, visit the Institute on Aging. Did you know? 1 in 5 SF residents will be over 65 by 2025. 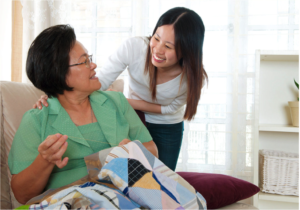 Learn more about how you can help seniors stay independent & healthy. 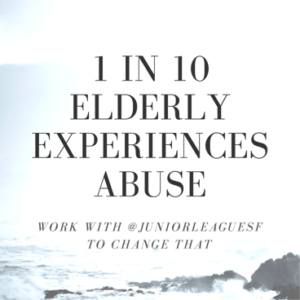 1 in 10 elders experience abuse. Work with @JuniorLeagueSF to change that. 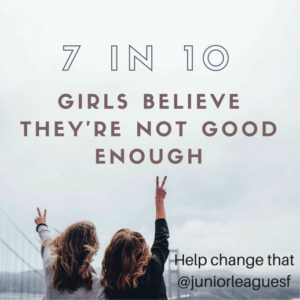 7 in 10 girls believe they’re not good enough. At @JuniorLeagueSF, we’re working to change that. 1 in 20 SF families are below the poverty line. 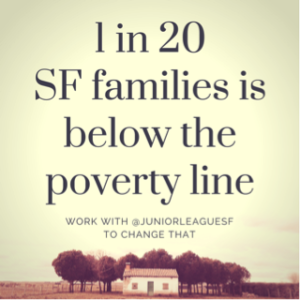 Work with @JuniorLeagueSF to help that change.